There was a picture that circulated on the internet recently showing a young man posed at his wake in a laid back style. Many commentators used the phrase “extreme embalming” to describe this supposedly new phenomenon. Most of those commentators know nothing about embalming or its history. If they did they would have known about the many photos that exist of posed deceased persons just here in the US from before the Civil War. On this the 66th anniversary of the death of Eva Peron. “Evita” the devoted wife of President Juan Peron of Argentina, was famous in life and death. Her history and that of her husband can be found without difficulty through any search engine. What is interesting about Evita is her story after her death. On July 26, 1952 when Eva Peron died, her husband was at her bedside along with Dr. Pedro Ara. Ara was a well known anatomist and very skilled at the preservation of the body. He came to Argentina in 1925 to organize the anatomy museum for a medical college. He had learned embalming from some of the best physicians in Europe. It is believed he had preserved through embalming hundreds maybe thousands of human remains. Eva Peron was embalmed in the room she died in. President Peron gave him complete control and privacy while engaged in the operation. At the completion of the preparation the President expressed his satisfaction. She was washed, dressed, her hair prepared by her own hair dresser. Her nails were polished by her personal maid. The casket was a fully open mahogany with a glass top. Her remains were moved to the Ministry of Labor where she would lie in state until her state funeral on August 9. Millions of people came to pay there respects to her during the interval. For his final treatment Dr. Ara had her remains moved to a laboratory the day after her funeral. He immerses the body in a chemical solution in the belief that it would provide a permanent preservation. It would remain there until the construction of her monument was complete. Political unrest gripped Argentina and President Peron was forced to flee to Paraguay on September 20, 1955. However, the new President believed he must rid the country of the Peron’s affection. He ordered the military with the help of a famous German commando leader to seize her remains. The story continues, that her remains were sent to Bonn, Germany in 1956. Pope Pius XII gives consent for it to be buried near Rome but was moved one more time to Musocco Cemetery in Milan in 1957 under the name Maria Maggi. Back in Argentina during this time it was not clear where her remains were taken. Those loyal to the Peron’s would begin a long search for it. The Peron loyalist, kidnapped the current president of Argentina in 1970 with the hopes of having him to tell them where she was. He was found dead several days later. The end came in September 1971 when a “man” appears at the Milan cemetery claiming Maria Maggi was his sister and he wished to have her disinterred. This was accomplished with extraordinary speed. The remains arrived at the residence of Juan Peron in Madrid a few days later. Dr. Ara also lived in Madrid and the following day began repairs of the body that was now 16 years since being viewed and 19 years since embalming. 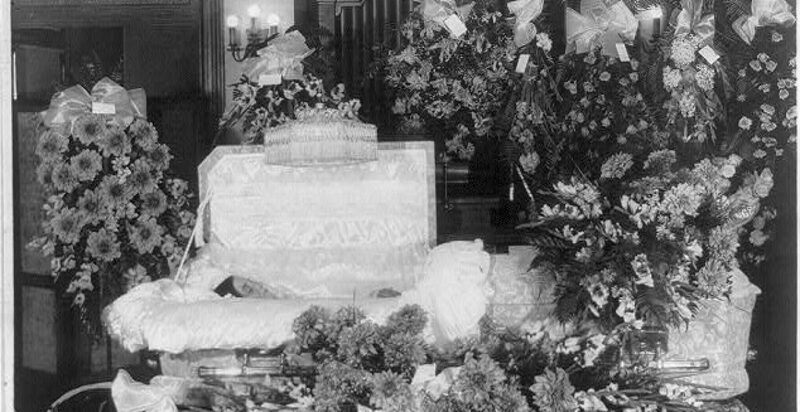 A new coffin held Evita with it being placed in the Peron home dining room, where the current Mr. and Mrs. Peron ate dinner each evening. Juan and his wife returned to Argentina to lead the country but without Evita in 1973. Political unrest there led to the return of her remains the following year and she was placed next to her husband in the Presidential residence. Her coffin was open for viewing while his was closed. Evita’s post death travels end in October 1976 when she returned to her family in Recoleta Cemetery. Her husband was buried in his family cemetery in Buenos Aires. Dr. Ara consulted with one of the world’s most prominent embalmers, Desmond Henley of London in 1972. Henley had embalmed many prominent persons and was considered to be a master embalmer. This consultation was one year before his death and while he was still interested in learning more about the practice of embalming. There have been many famous embalmed remains around the world. Vladimir Lenin, Ho Chi Minh, Chairman Mao, and Joseph Stalin to name a few. Long term embalming is possible and an art. Embalming makes it possible to not just preserve the remains for a period of time but also have it look the way it was remembered. A positive final good bye. 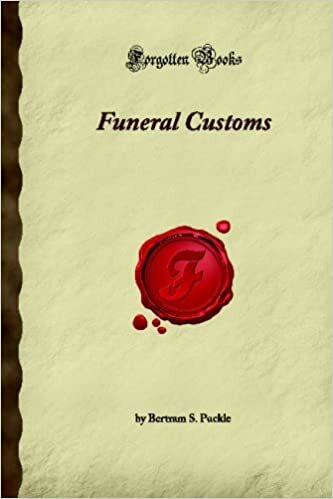 This article was excerpted from previously published material from the American Funeral Director, April and May, 1986 by Edward C. Johnson and Melissa Johnson.